Thorne & Derrick are UK distributors for the Star Progetti range of industrial and ATEX certified infrared heaters. Please contact us to discuss your application and we will be happy to help. Star Progetti have been at the forefront of infrared heater manufacturing since 1994 and continue to invest time and money into research and development of infrared technology. The Helios IRK infrared range provides optimum heating solutions for many industries and applications. Infrared heaters provide local warming and unlike conventional fan and convection heaters, they only heat the area you require, reducing energy waste and saving you money. Robust and rugged in construction, Star Progetti heaters are designed for use in the most harsh industrial environments.The Helios Radiant EHSAFE model is ATEX certified for use in explosive atmospheres. 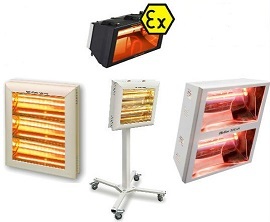 Star Progetti have recently launched the EHSAFE ATEX infrared heater. Available in 1.5KW and 2KW versions, the heater is ATEX certified for use in potentially explosive atmospheres. Unlike other ATEX certified heaters which usually heat by convection, the EHSAFE provides shortwave infrared heat and local warming. A single heater can be used for areas up to 20m² and provides a much more energy and cost efficient way of heating hazardous areas. The heater is IP66 rated so can even be used outdoors for spot heating. .
Electric Infrared heaters can be used for comfort heating and also process applications. The heaters provide significant advantages in large open plan areas or where high ceilings mean standard heating technologies are inefficient. 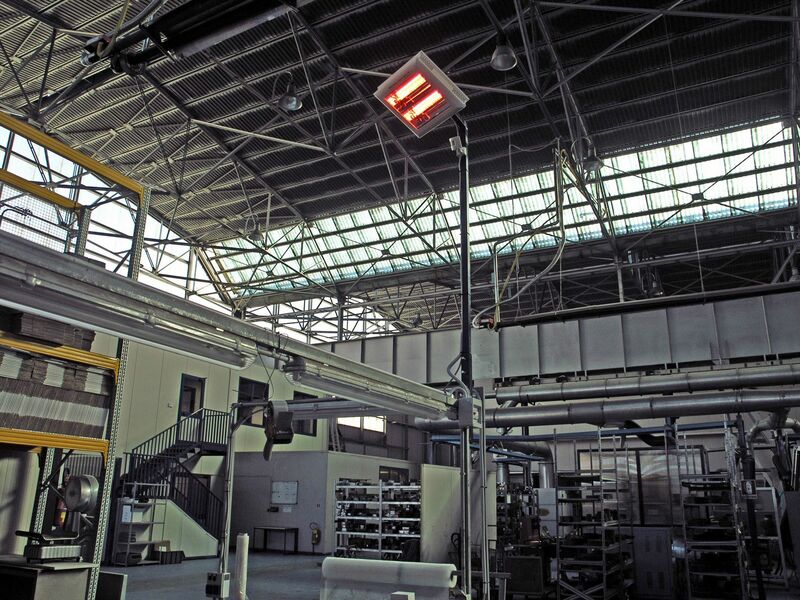 Picture: Helios HPV2-40 heater providing space heating to warehouse resulting in 60% energy savings. 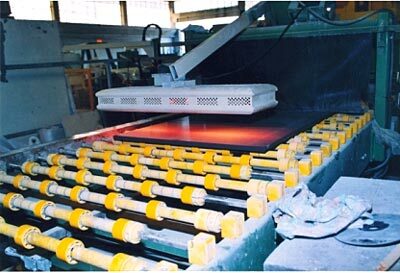 Picture: Helios HP3-60 Infrared heater is being used for process heating to speed up production time. As with all process and industrial heating applications, it is important that heat loss calculations are carried out and the correct heating solution is specified for your application. T&D use the latest computer technology to calculate the heating requirement and KW rating. The positioning of industrial Infrared heaters is also important to ensure the maximum heat area and desired temperature is achieved.